Quilt Shopping Out & About | Quilting my way through life! 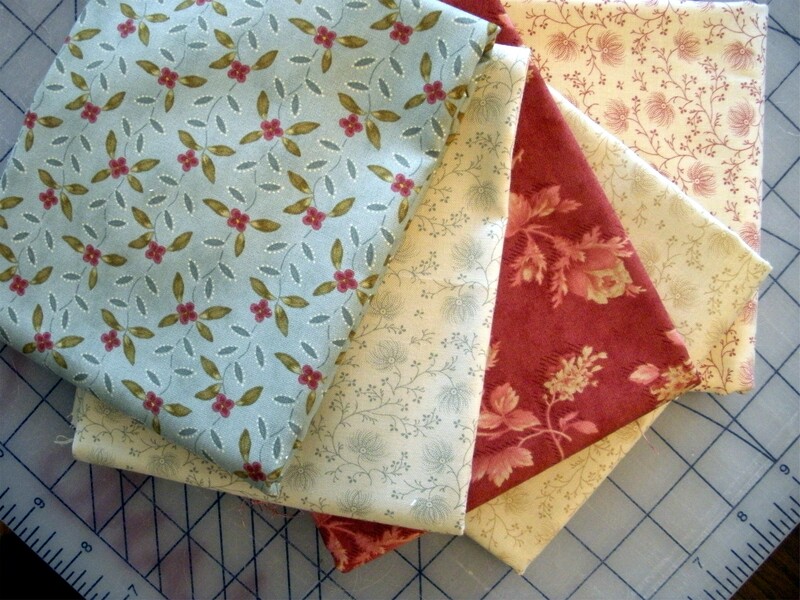 March is National Quilting Month. Let’s Support our Local Quilt Shops. 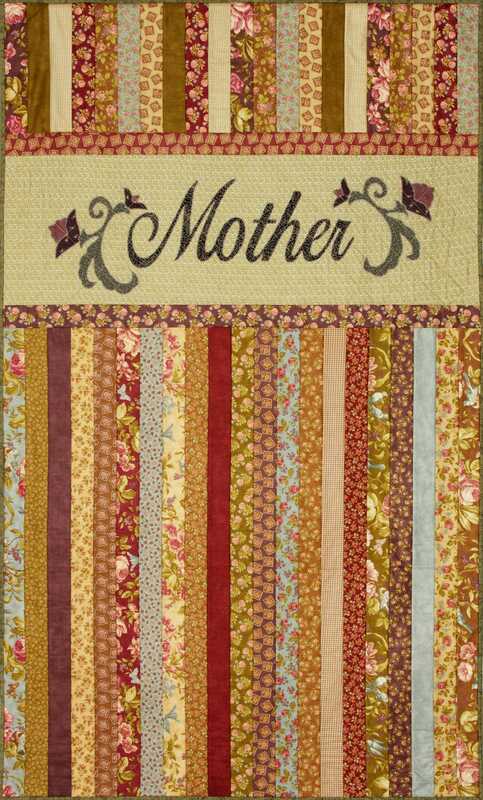 Did you know that the month of March is National Quilting Month? but as you can see I ended up with one! Since my college days I’ve had a thing for black. 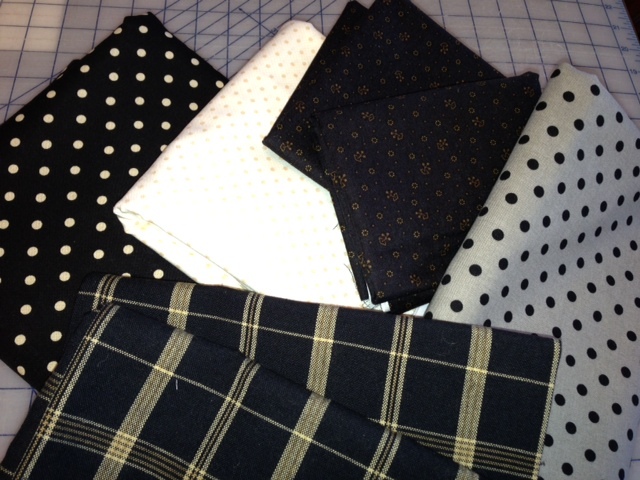 The plaid pieces in front are actually cotton towels, not yardage. 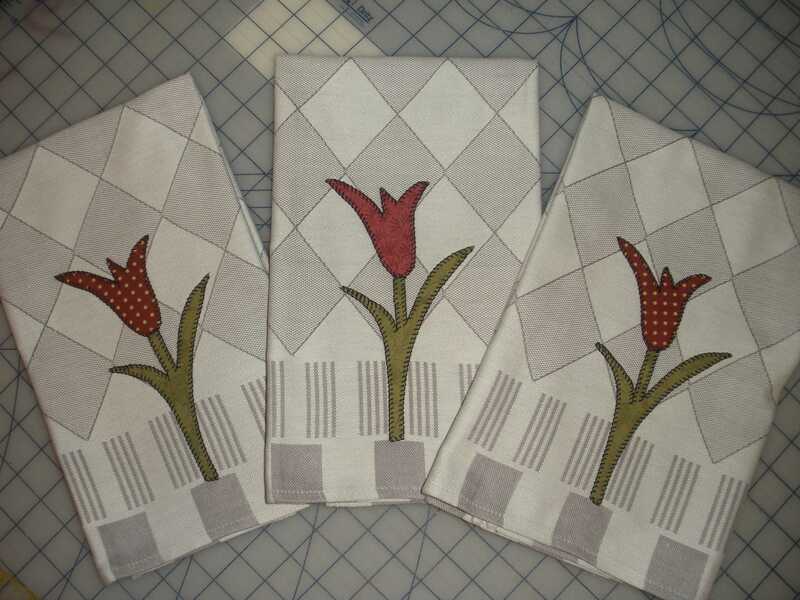 I think they’ll look great with the Christmas fabrics that I’m currently working with. They do look really nice with the rest of the day’s haul don’t you think? I saw on another blog, this fusible bias tape maker. while attaching a thin strip of fusible web at the same time. So, your bias tape ends up being fusible. I saw it used to make little basket block handles, cool right? Recently I made the little basket handles on block #28, remember? Afterwards I saw this tool and thought it would be fun to try. 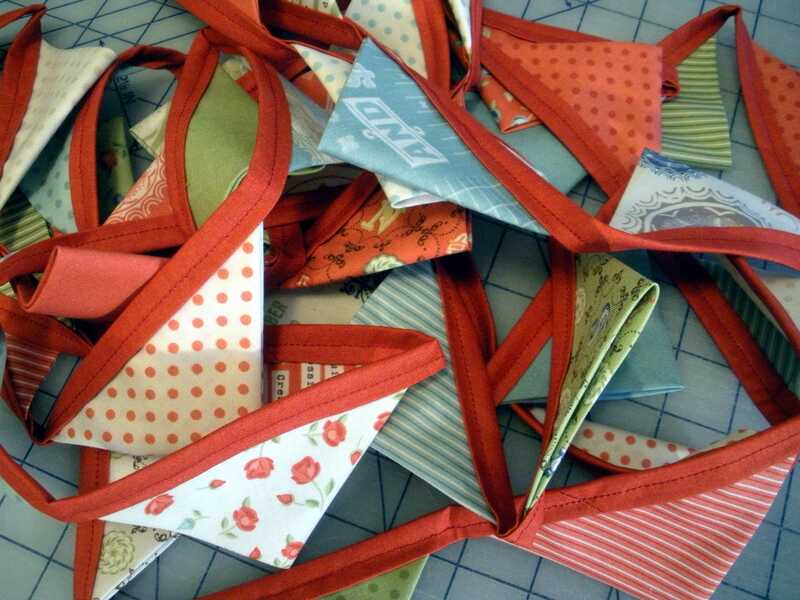 It allows you to fuse your bias strips in place before you sew them; no more pinning! I also have recently had a thing for Thangles. I bought a kit a year ago that had very small half square triangles in the pattern. 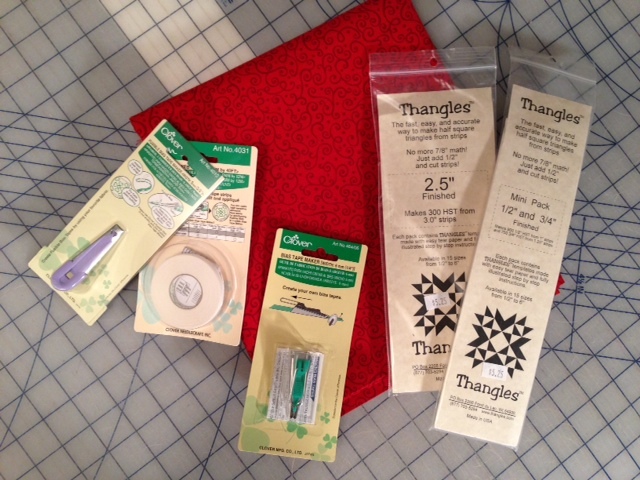 The kit included enough Thangles to make the quilt. 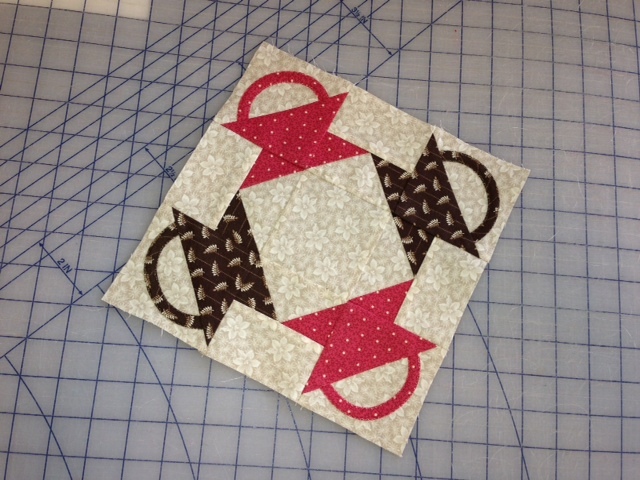 It was so much fun that I wanted to make more tiny half square triangles just because I enjoyed the process. 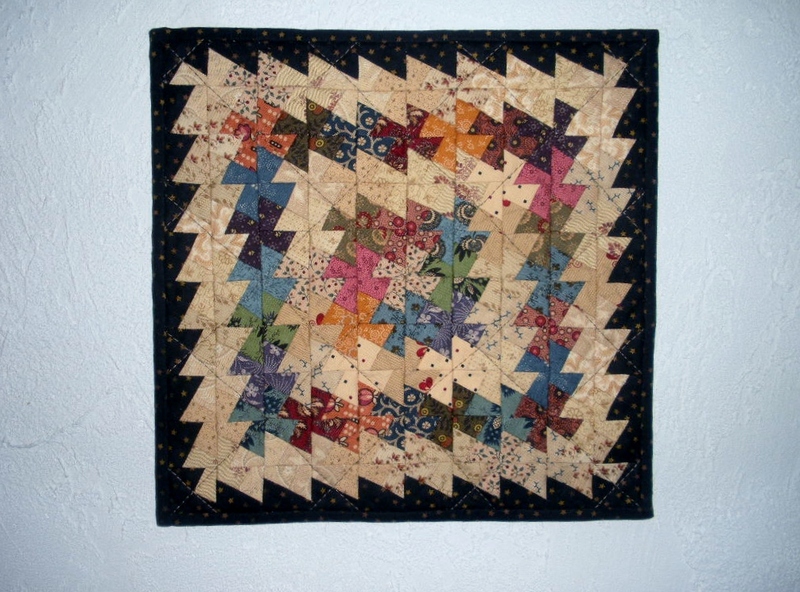 Did I ever tell you that I enjoy the word “quilt” in verb form even more than the noun? 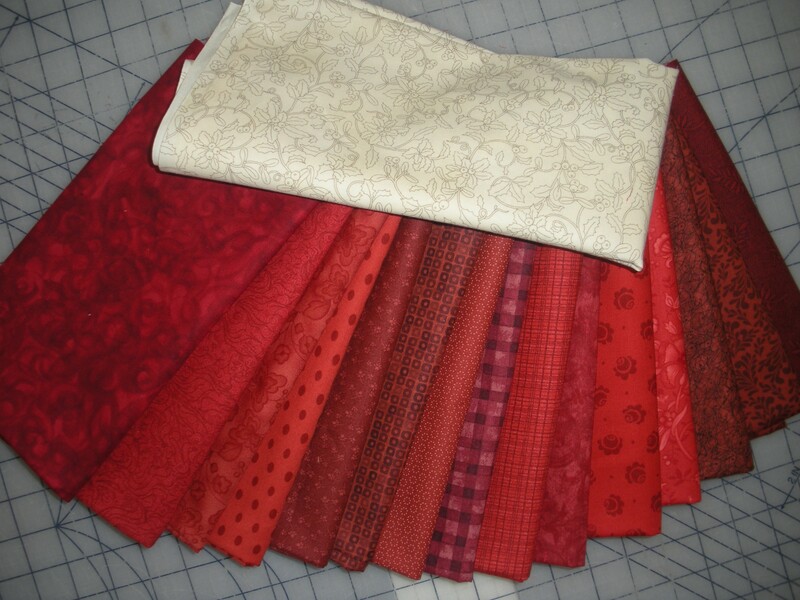 Meaning, I enjoying the process of quilting even more than owning the finished quilt. Anyway, back to my National Quilting Day story. In the St. Louis area there are four quilt shops either going or have gone out of business in 2013 alone! It’s sad to realize that one of them is where I bought my very first quilt pattern. 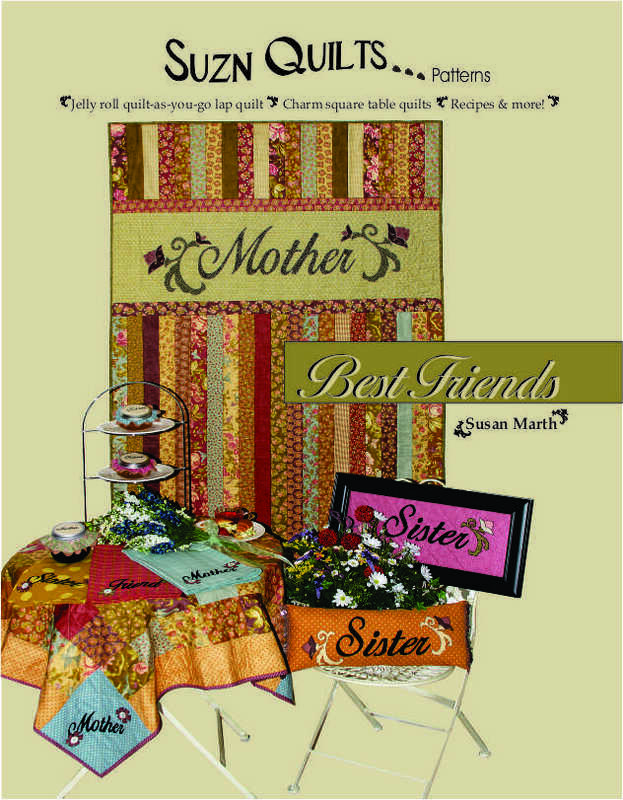 This shop sent out a monthly newsletter that first introduced me to the world of quilt guilds. listed all the quilt guilds in the area . As I read the list one day I was curious about what a quilt guild was then read there was one in my area. Another shop that is closing is responsible for selling my very first quilt patterns. 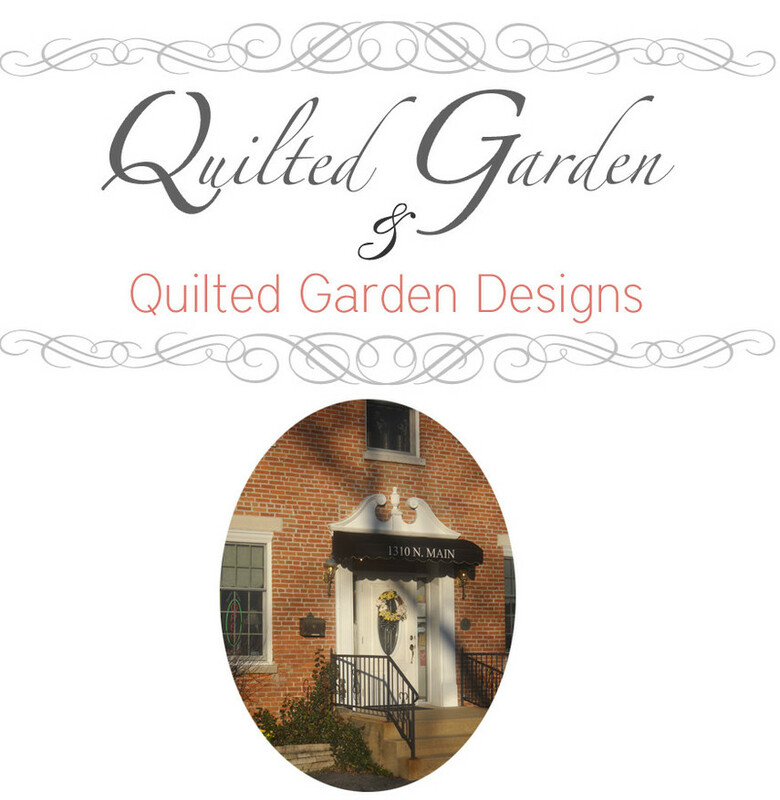 The Quilted Garden, Edwardsville, IL. One thing I have learned since being in business and talking to MANY quilt shop owners these past 10 years, either going into quilt shops or talking to them at market, is that much of their pay is measured in passion, not dollars. I can’t tell you how many times fellow quilters have stated that shop owners must make a fortune selling fabric for $10 and now $12 a yard. they do not get $10 for each yard of fabric that they sell. First of all they have to buy that fabric, usually a minimum of 15 yards at a time. Like any retail store, typically their cost is half of what they sell it for. the shop owner probably paid $5, plus shipping, which is going up almost every day. So they might have $6 a yard into it. So with 15 yards of fabric that bolt cost $90. If they sell it at $10 a yard they have to sell the first 9 yards to pay their cost for the fabric. That is to break even. They then have to sell the remaining 6 yards of fabric to actually MAKE money. So, when they sell the remaining 6 yards, they will have made $60. how many bolts do you see??? If it’s a shop that I want to shop in, probably a minimum of 2,000 and that’s not a very large shop by comparison. Oh yes, I forgot PAYCHECKS!!! Not only do their employees expect them, owners would like them every once in a while too! Then remember they have to advertise. That $60 is crucial to paying those bills. When you see the cost of our fabric going up, you must realize that shop owners don’t want to see that either. They know we only have so much money to spend, just like them. they are probably not making the money they need to pay rent and all their other expenses required to stay in business. there would be no quilting industry! Tomorrow our guild is sponsoring its bi-annual Spring Workshop. Enjoy your day and maybe go and visit your local quilt shop(s). 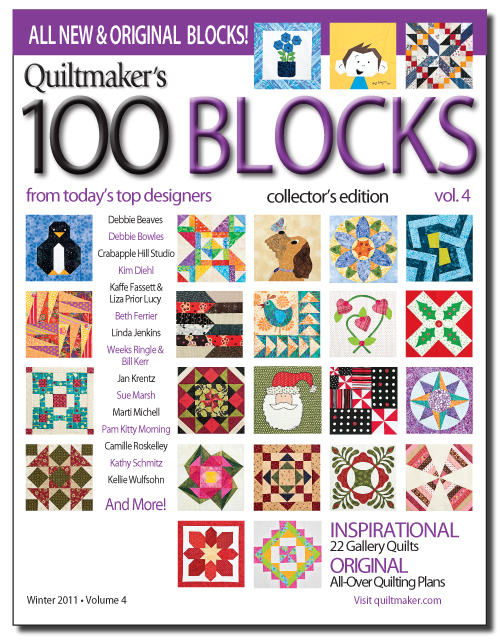 Thanks to all of you who joined Quiltmaker and all of us to introduce the newest 100 Blocks Volume 4! A special thank you to those of you who commented on my blog and those of you that became subscribers. If you were not lucky enough to win one of the free issues, head to your local quilt shop or news stand next week to purchase a copy. It’s full of lots of inspiration for just $6.99! The beginning of June you might remember me chatting about Celine Perkins of Perkins Dry Goods coming to teach at our guild’s Quilt Away 2011. While Celine was here we took in a few quilt shops and the Hearts & Hands Quilt Guild’s quilt show. That was a very nice show with lots of vendors! While there we both fell in love with Betty Cummings’ (Village Mercantile in Booneville, IN) Itty Bitty Primitive Pinwheel quilt. She was selling kits so we each bought one to sew the next day. I was lucky enough that Celine stayed a couple extra days and we got to have our own mini retreat. 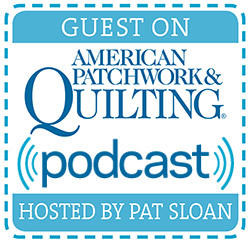 We see each other during International Quilt Market each year, but we’re always so busy we’ve never had a chance just to sew and visit for fun. I finally got mine quilted this week and finished the binding too. Isn’t it cute? The pattern and template are by Primitive Gatherings. I added some of my own civil war prints to the kit. It’s fun to do someone else’s patterns once in a while too! Celine, is yours done yet??? Hot Tip-Selvage Signatures in full force! yesterday I stocked up on some much needed Glorious Reds, and a bit more of my new favorite Christmas background. I can really get caught up in great backgrounds. To me thery’re kind of like a painter’s canvas. They set the tone of your whole quilt. After I got home and checked messages from all my technical sources and got an order ready for shipping, I sat right down with my Sharpie and gave each piece of fabric their “selvage signature”. Don’t want Mr. Murphy (Murphy’s law, you know it’s going to happen) dancing a jig when I run out of one of these and need a bit more. This little exercise also gives me an excuse to refold and stack my new pretties. I’m pretty sure the only reason I quilt is to use up some of the beautiful fabrics before the stacks fall over and smother my family members! As promised, I’m giving you a brief peek at the three shops I was lucky enough to visit while in Tennessee with my family. I would have liked to visit more, but as previously stated, I was there with my family and they can only take so much! And I can only take so much of them taking so much, vicious cycle! First I went to The Cherry Pit in Sevierville. What a nice shop. The owner, Jane Washington and her staff are so friendly. Jane told me her husband, George Washington, gets told all the time that he looks like the George Washington, hence the name, The Cherry Pit. I next visited Machine Quiltin’ by Iva also in Sevierville. (No photo available, & I wasn’t thinking about that at the time.) Iva has the largest selection of pre-cuts that I’ve ever seen in one shop! Thirdly, I visited Mountain Stitches By Susan (love that name!) in Gatlinburg. 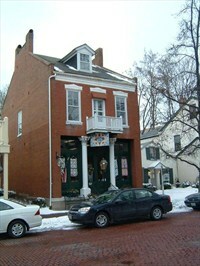 Susan’s shop is part of the Great Smoky Mountains Arts & Crafts Community. So, not only does she sell fabrics, patterns & the like, but 52% of her sales have to be made by her own hands. She has a quilting machine in another shop across the boardwalk where she machine quilts the quilts she sells in her shop. What a neat place to visit. While I was in Susan’s shop, my family found a great little ice cream shop across the way from Susan and we had some fantastic hot fudge malts made with locally made ice cream, yum!! Also as previously stated, we used the GPS my brother, David, bought me for Christmas. Thank goodness for that! Not only did it simplify things A LOT, for instance it also took us around Gatlinburg to get to Susan’s shop. That’s a cool little town, but the traffic is really heavy with walking traffic constantly crossing the street. We ate there one night, went putt putt golfing one night and shopped there several times during the week we were in Tennessee. Cool place to visit and people watch! If you get the chance to go to the area do it. There are even more quilt shops really close by. Maybe next time!